Does My Pug Need More Time to Reflect? Posted on September 9, 2015 by Who Said That? I’m pretty sure Bobo’s “right ratio” in life involves a whole lot of rest, no work, a lot of pets and scratches and a bottomless bowl of food. I doubt he has ever reflected up anything. Someone please smack the ad exec who came up with this campaign, the copy writer who thought it made sense to say that our dogs need time to reflect, and the VP of marketing at Petco who paid them. Good grief. Just in case, though … Bobo, you complete me. Namaste. 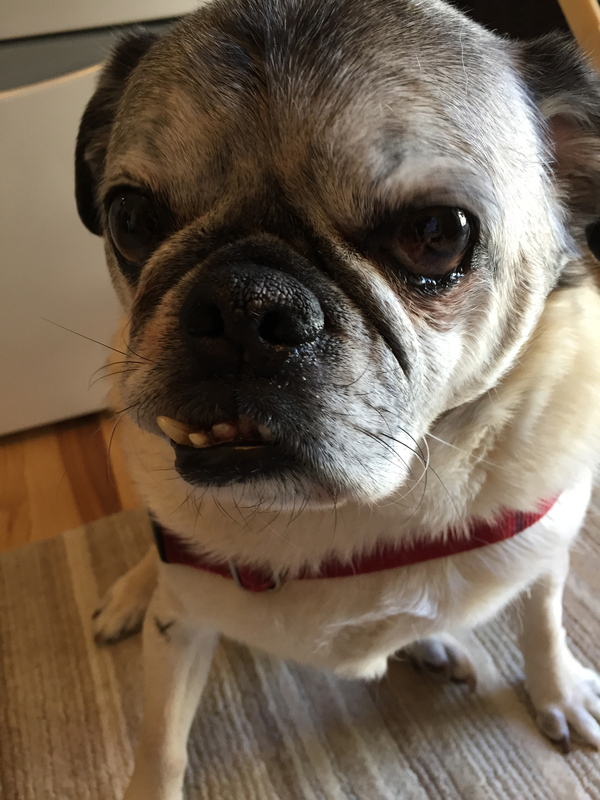 This entry was posted in Life, Tilting Toward Balance and tagged Advertising, Balance, Easternisms Run Amuck, Humor, life, Pets, Pugs, Silly Ads by Who Said That?. Bookmark the permalink.